It’s Debbi here. 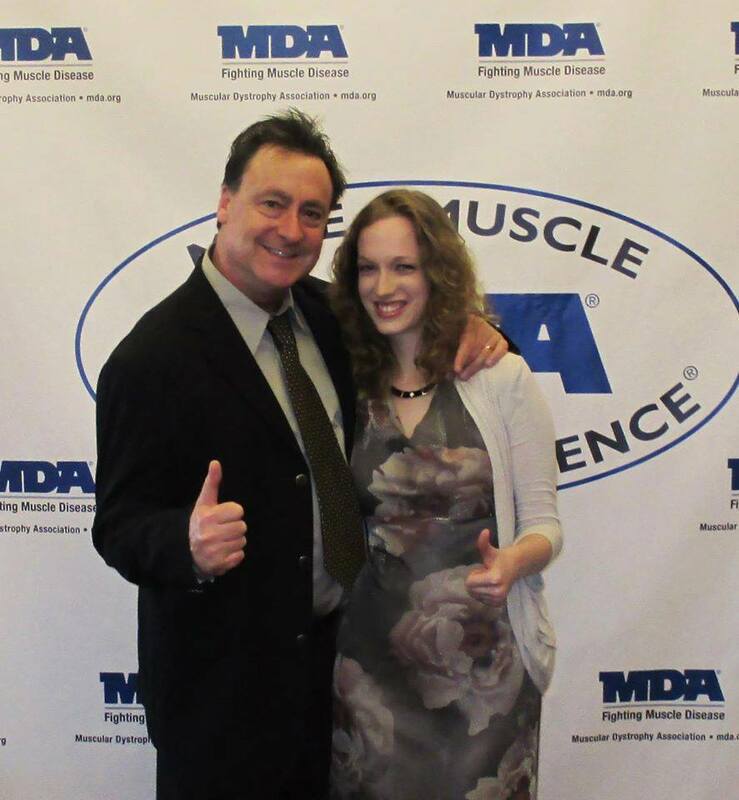 DJ Buddy and Katrina just recently switched this blog over to a brand new look. Please let us know what you think. Of course, we want to hear about your experiences with Let’s Party! as well. Leave a comment here or on our Facebook page. We’d love to hear from you! Debbi, DJ Buddy, Katrina, and the staff at Let’s Party! Check Out Our LED Flat Screens! 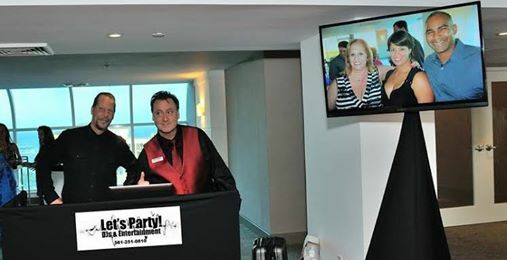 DJ Sandy & DJ Buddy with our LED flat screen(s) We scroll photos of you and your guests AT THE EVENT. No waiting. PLUS just text us your smartphone pix & see them right there on the big screen! Be sure to mention the LED flat screens during your consultation with us. We’d love to tailor your wedding to YOUR specifications. Call us at (561) 251-0810. Consiguió Música Latina? Lo hacemos! Pregunte por DJ Xavier, DJ Carlos Cool C, o DJ Izzy al hacer la reserva. There is a lot of superstition that surrounds numbers. 13 – unlucky! 7 – lucky! 3’s – well, “good and bad luck” comes in them. Certainly you can create patterns (no matter how thinly threaded) and believe something or not. However, I want to help you with real numbers: the hundreds and thousands in your wedding budget! The last dozen years or so have seen a spate of dates fall with consecutive or repetitive numbers 1/1/01, 2/2/02 on up to 11.11.11. This year’s “big wedding day” is 12-13-14. And you might be paying for it – in real numbers, and in quality. New Years Eve is a much hyped night that most every place serving food, drink, and entertainment charges premium fees (often double) to serve what might amount to service & product that is the same, and on some occasions sub-standard to what is available all year round! Have you ever noticed that right after the holidays, the price for every gift you wanted goes down? That is because the demand has lessened. Often time a retailer will give bargains, 2-for-1’s, or add-ons at no additional cost. The wedding business is no different and applying this principle can save you and your guests big money on food, services, and travel! Did you know that many vendors & facilities will offer discounts for a Friday or Sunday wedding? Do you know that they will sometime DEEPLY discount fees for a weekday wedding? Typically a weekday wedding may not be ideal. However, we live in South Florida – one of the great vacation & holiday destinations in the world! It is actually and ideal place to consider a wedding on a night other than a Saturday as it is the type of place where so many of our long distance family and friends want to visit for vacation. Why settle for a good time for just one night, when it can last up to several days?! Now, I don’t want to rain on anyone’s parade here, but I want you to be educated, and hopefully SAVE too! Ultimately, it’s your choice. We’re always happy to be with you for your next affair. By the way, let us know what you’re doing on 5-10-15. While the date sounds kind of neat, keep in mind it’s also Mother’s Day. Shopping for a DJ (or any vendor) is a leap of faith. We are proud to say we have literally hundreds of testimonials in both video and words from happy couples and families who have chosen LET’S PARTY over the years. The music we play may change over time but our commitment to quality and satisfaction always remains! We got some fantastic candids of DJ Carlos Cool C having a great time between songs with lovely bride Lely, Cristina of Video by Cristina, and of course, DJ Buddy. We want to know what you are up to! Please feel free to share your news with us here on WordPress or on our Facebook Page – we would truly love to hear from you! Just comment on this post! Some of you we haven’t seen in years – others have become personal friends we see regularly for sushi dinners or rock concerts. We hope to build a friendly Social Media Community where our clients can get to know each other as well as us. “There are no strangers here, just friends you never knew”! DJ Buddy, Katrina, Debbi, & Let’s Party! Ever wonder where the term “Honeymoon” originated? Or why you display your rock on your “Ring Finger”? 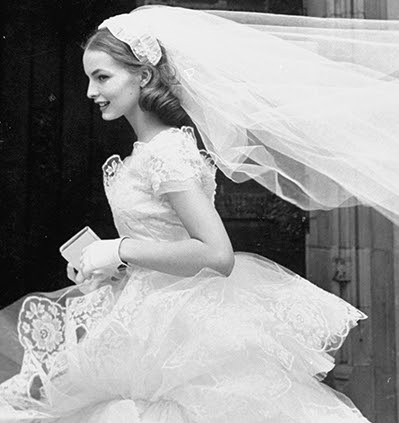 The answer to these burning questions and more here: Surprising Wedding Facts – BRIDES.com. Another weekend, another happy couple. Congratulations Ashley and Brett and thank you for your trust and enthusiasm with Let’s Party! Ask for DJs Buddy and Sandy when you book. We guarantee we’ll have you smiling as well.